Today it was a clear day of an early winter. 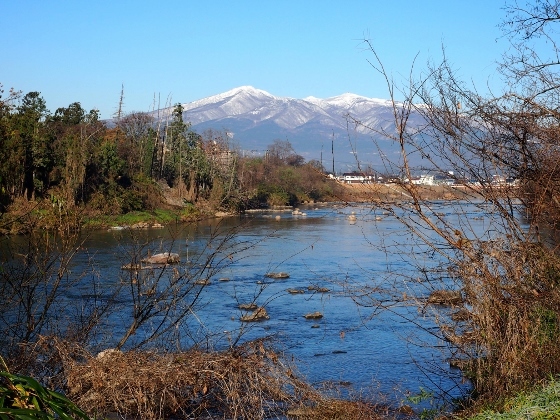 It was a chance to view the Abukuma River with the background of snow-capped Adatara mountain range. 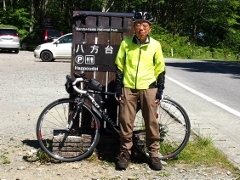 I pedaled along the river from Koriyama to Motomiya through Nihonmatsu and found some viewpoints with the combination. 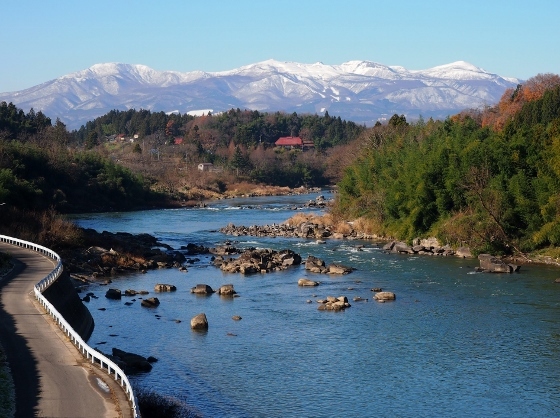 The first viewpoint with the combination of Adatara Mountains and the Abukuma River was at Motomiya City as shown above. The second viewpoint was also at Motomiya City as shown above. I also found a small group of swans in the river near the second viewpoint. This spot used to be a small habitat for the migratory bird from Siberia every year. 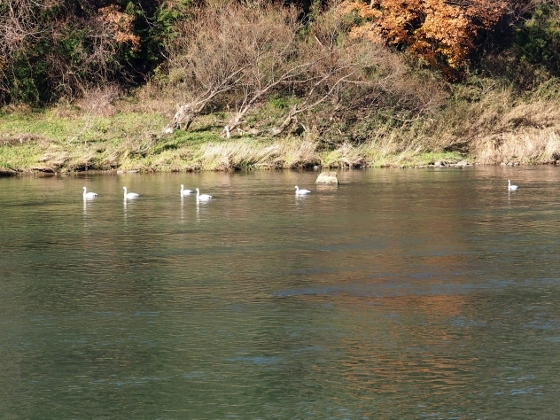 There are large habitats for swans in many other parts of the river. The best viewpoint today was on the Chieko-Ohashi Bridge in Nihonmatsu City as shown above. This shows complete mountain range of Adatara including Mt. Osho, Mt. Adatara, Mt. Tetsu, Mt. 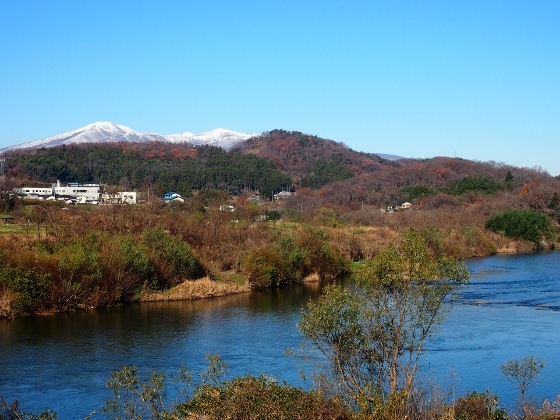 Minowa, and Mt. Kimen. 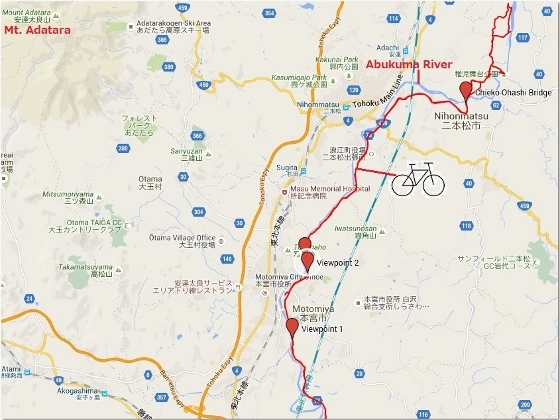 It also shows full stretch of the Abukuma River in front. Chieko is the name of an artist from Nihonmatsu who really loved Mt. Adatara and the Abukuma River together with the true sky over them.